Jarrod Lyle has that human touch so rarely found, as evidenced by the sheer volume of the reactions to his gut-wrenching news. TIGER Woods just doesn't do "help" requests. But there it was: a bold yellow duck pin on the great man's hat. 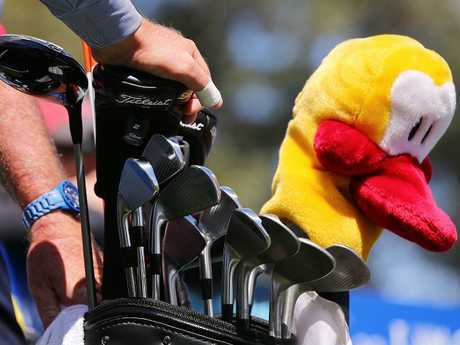 It was 2012, and Leuk The Duck - the symbol that has come to represent the cancer charity Challenge - was being splashed across TV screens around the world, courtesy of just one thing: the respect Woods has for Jarrod Lyle. 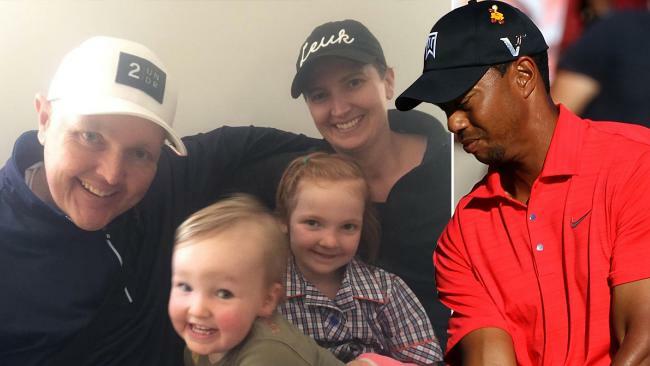 Lyle had Tiger's number in his phone - just like he still has the numbers of the old dudes he learnt to play golf with in Shepparton in the early 1990s - and quickly shot him a text message of thanks from the hospital bed where he was fighting his second bout with leukaemia. 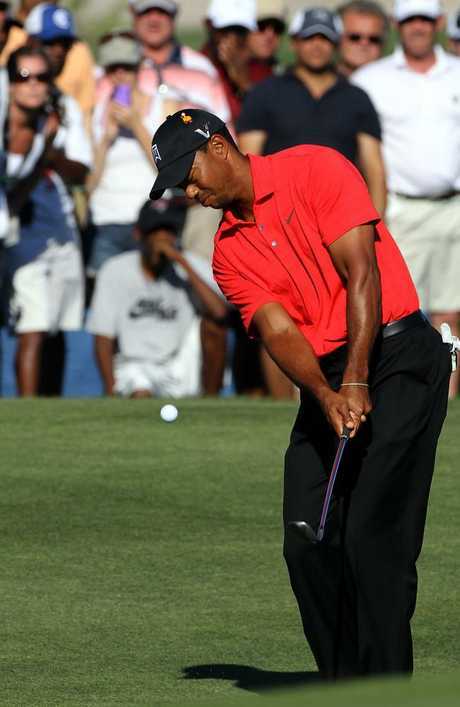 The gist of Tiger's personal response was: "Just get better. You belong out here with us." That story still resonates with Lyle, and as the years have gone by, the memory of it is a fond one. "Tiger got asked to do everything for everyone for so long, and I knew that he just didn't do that sort of stuff," Lyle once told me. "He made a blanket rule … but broke it … for me. A bloke flat in a bed in Melbourne, halfway around the world." You can sense the pride. Here was a fella who some thought would die in a hospital bed in 1999 at just 17 years old, an unfulfilled talent struck down by cancer on the eve of what would have been his senior pennant golf debut at Commonwealth. 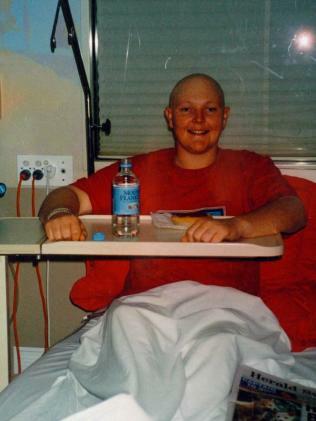 Jarrod didn't know the odds of a recovery then; he didn't want to. "Why? I was going to get better. I didn't need to." If the odds were reasonable then, they were surely a million to one that he'd bounce back to thrive as a golfer, represent Australia as an amateur, and then capture the nation's heart with his recovery story during the 2005 Heineken Classic at Royal Melbourne. In that event, his fifth as a professional and with the country already firmly in his camp, he made a bogey on the final hole to miss a playoff by a single stroke. No less a legend than Craig Parry eventually won in a playoff against Nick O'Hern. The next day, his picture plastered across every newspaper around Australia as the "kid who beat cancer", Lyle was winging his way to the New Zealand Open. He was loving every minute of the trip as stewardesses smiled his way, recognising him as the person on the front page of the Herald Sun. "So we get there, and I'm walking through the carpark at the course and I see a car come flying up and jam on its brakes," he recalled. "I was beside myself, really worried about offending a champion like Paz, going, 'I'm sorry, I didn't know how to handle it'. "With that, his face broke, he pissed himself laughing, and just drove off. I knew I'd fit right in on tour after that." 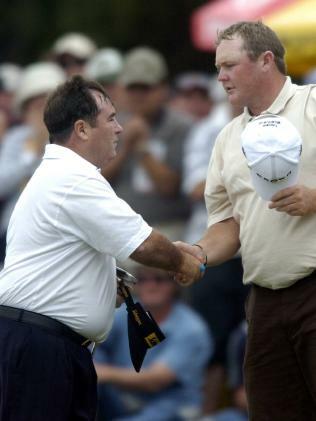 Craig Parry and Jarrod Lyle shake hands after the 18th hole during the 2005 Heineken Classic at Royal Melbourne. That image is perfectly Jarrod Lyle. The bloke who would do anything to have a laugh, particularly at his own expense. The bloke who would treat you the same as he would a head of state. The bloke who puts others' lives ahead of his, right up to what will be the end of his days. 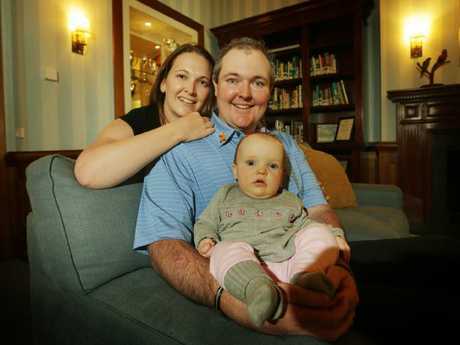 Through it all, he overcame the odds: from riding on his BMX, pulling his sticks, to the Shepparton Golf Club as a kid to duking it out with Tiger and company at The Open Championship; from being told he'd be unable to be a father to having two delightful young daughters; from a radical double cord transplant in his second fight with cancer in 2012 to that emotional return to professional golf at the 2013 Australian Masters, at his beloved Royal Melbourne. All along, he was displaying not only great golf to the galleries, but spreading love and messages of hope and inspiration to thousands worldwide who admired his personable demeanour and gregarious nature. He fought. For his career, for his young family, for his fellow patients in hospital wards in Shepparton, Melbourne and later Geelong. For anyone who needed him. 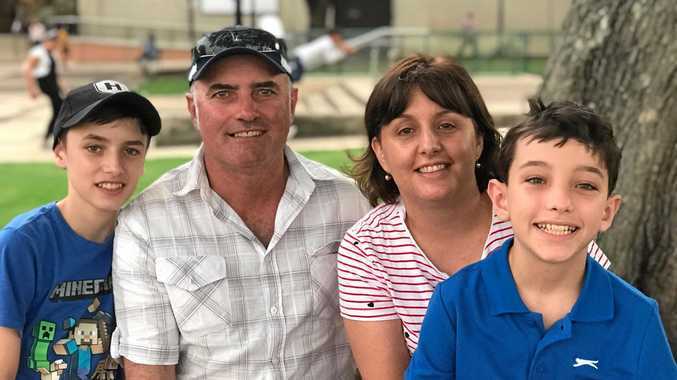 To sit with Jarrod after one of his almost daringly revealing social media posts during his latest travails was to see the various platforms light up in response. It showed not only the power of well-used social media, but the sheer magnitude of his reach and impact. And for as long as he could, he read them all and thrived. His battles, and the documentation of them, were a revelation for the many cancer patients enduring the same traumas who read them. Lyle's impending demise will be a loss for golf, but it will be a far greater loss for Australia and for the world. His appeal is not just to sports fans, it's to every person. He has that human touch so rarely found, as evidenced by the sheer volume of the reactions to his gut-wrenching news. He'd be the first to tell you what he brought to life's table wasn't in the most pristine wrapping. But as we ponder his final days on this planet, know that what's inside is pure gold. We'll miss you, mate - way more than your humble soul would ever allow you to realise. The Herald Sun will donate the fee for this column to Challenge, the cancer charity close to Jarrod Lyle's heart. 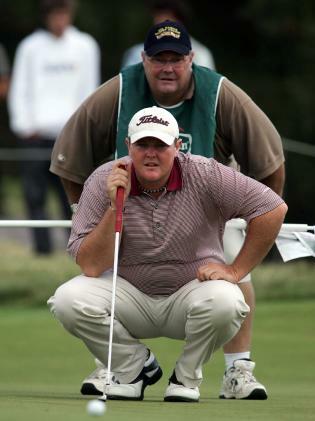 Jarrod Lyle with his caddie and father John Lyle go to work on a putt during the 2005 Heineken Classic at Royal Melbourne.